Every trend has a bell curve; popularity climbs and climbs and climbs until it doesn't. As much as we love the chunky dad sneakers that have dominated 2018, at some point, the chunky-soled styles will give way to something new. If we were to take bets on what that might be, our money would be all in on Velcro sneakers. Think of these hassle-free shoes as the pared-down sibling to those over-the-top styles you've seen on the feet of all your favorite trendsetters. 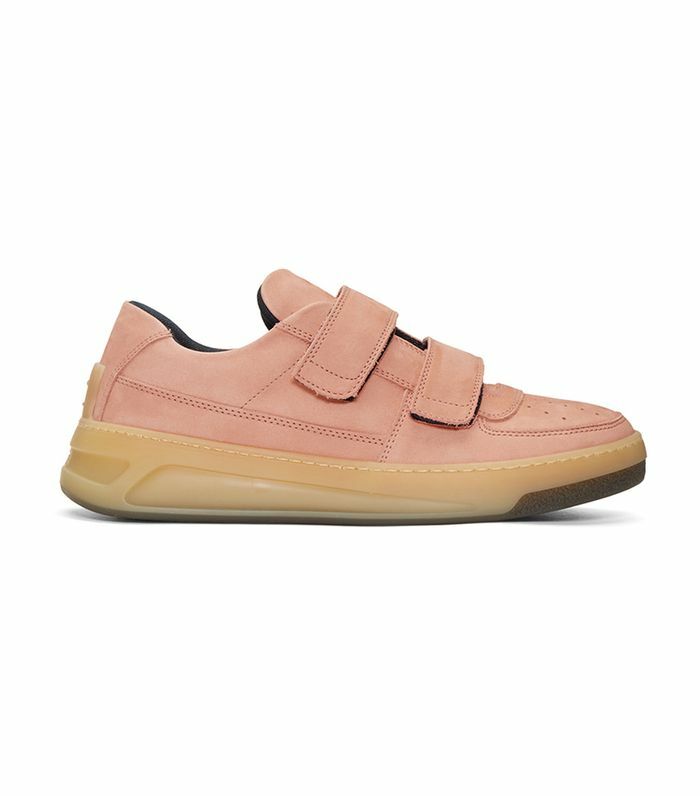 While Velcro offers the same "so uncool it's actually cool" aesthetic that have made dad sneakers a favorite, there's a bit more room to pick your own level of commitment. Some styles skew minimalist while others are a statement dressers dream; this trend definitely isn't one size fits all. So if you're ready to give Velcro sneakers a try (trust us, you are), get ready to embrace your inner child and shop our favorite styles below. Trendy without ever feeling like they're trying too hard. 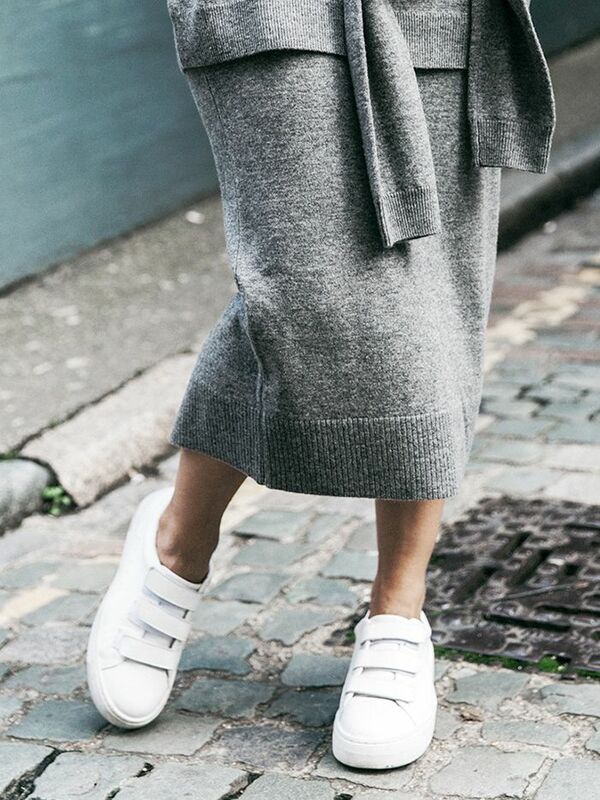 If you're not quite over those chunky soles, this style is for you. You can't go wrong with a simple classic. These sneakers are sporty enough to survive a workout, but look cool too. A style that's ideal for the minimalist. Meet the dad-Velcro sneaker hybrid. Available in sizes 35 to 36. For the skater and the trendsetter too. Available in sizes 4h to 9. This dusty pink is a fun option for those who love the pretty hue. These sneakers will look great with jeans or a dress. Add a little lift with these platform shoes. Your feet will feel so fancy in these sneakers. Available in sizes IT26 to IT40. There's something so fun about these sneakers. Available in sizes IT37 to IT38.5. A futuristic-feeling interpretation of the trend. Available in sizes IT36 to IT39. These Nike sneakers have been a in-crowd favorite. There's no calling these sneakers boring. If retro sneakers are your thing, you'll want to give these a try. Available in sizes 6.5 to 11. Proof that simplicity is always a good thing. These French sneakers look cool with everything. Now you're all set to give the trend a try.